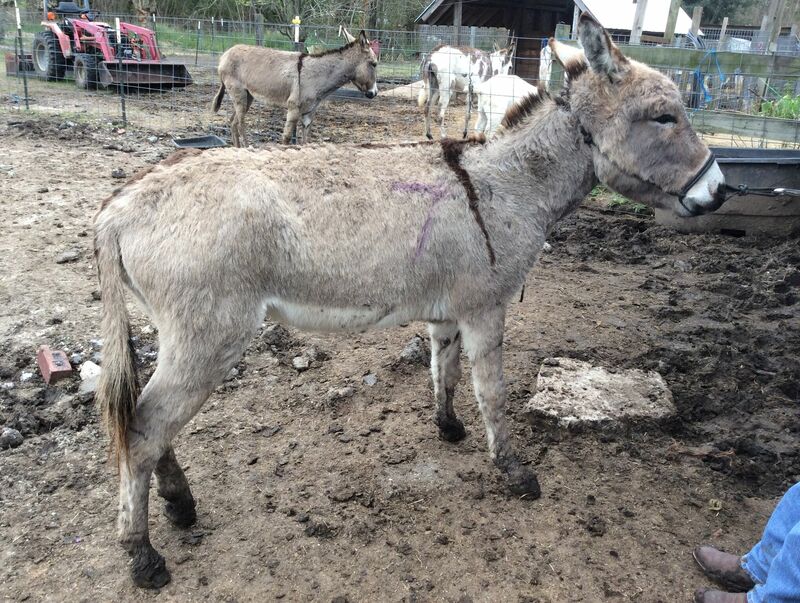 GREAT UPDATE ON OUR JANUARY BUCKET FUND 21 DONKEYS: 5 were adopted! Yay! Great news! 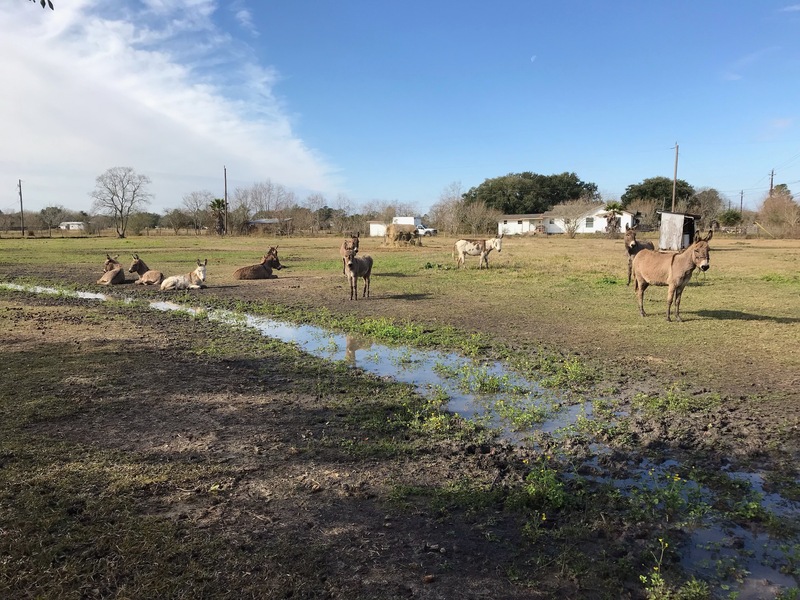 5 of the 21 donkeys went to their forever homes! Paco, Dr. Kris’ favorite, went home with one of her very good clients. 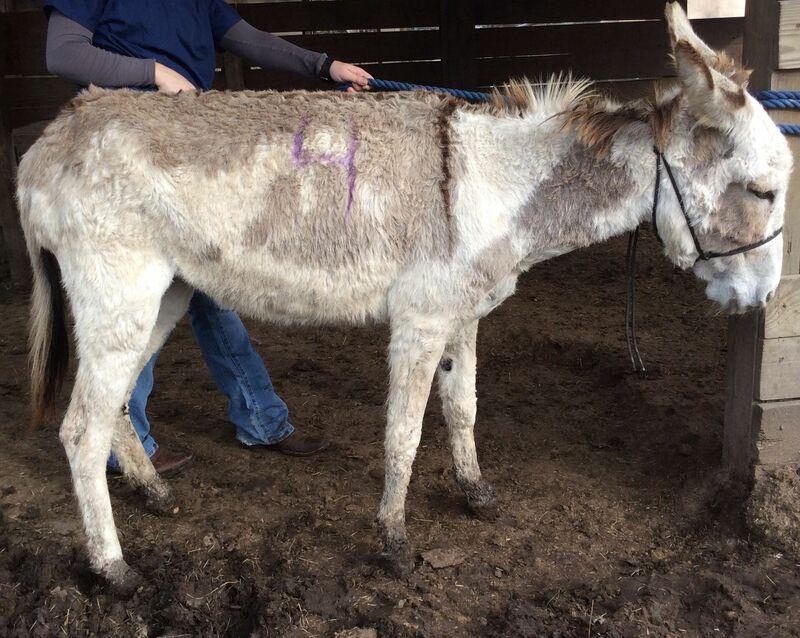 They’ve never had a donkey, but they said if it goes well (which we know it will), they will get another! Paco with his new person! This adoption was a foster fail. 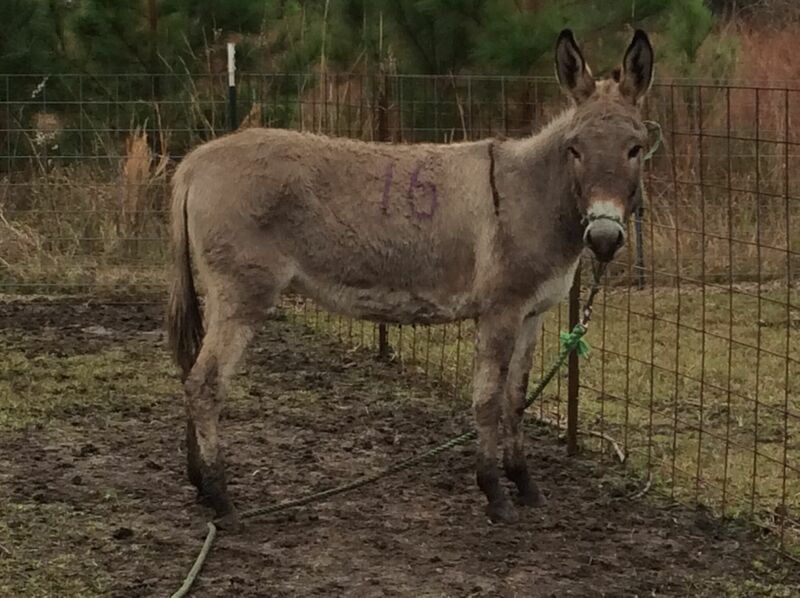 Yup, a family took the jennies who were not pregnant, just to keep them away from the jacks before they were gelded. Well… foster fail. The family wants to keep all 4 ladies! This is Mackenzie and Maggie. That must be Cupid behind… not sure. 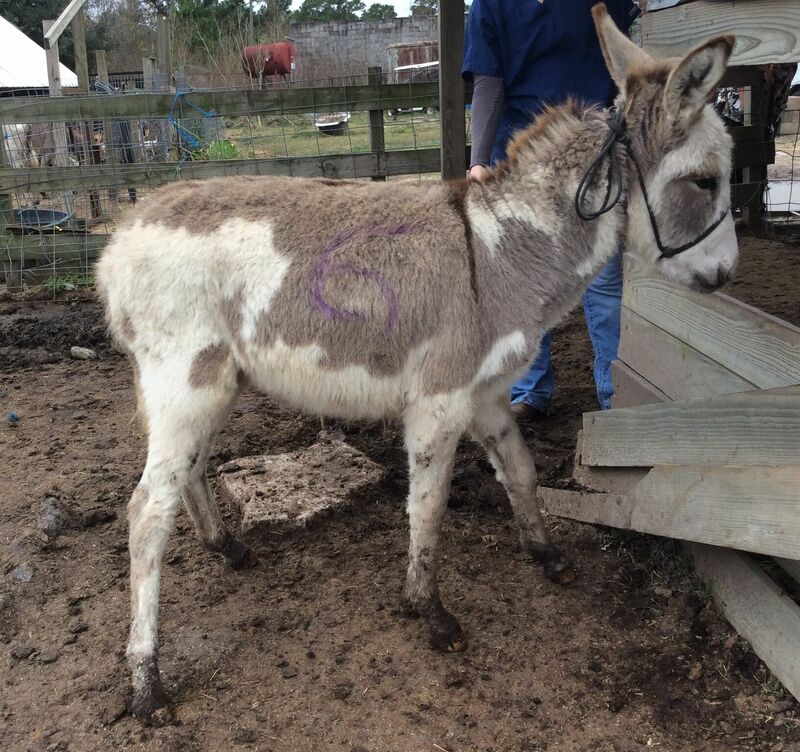 Gidget, Cupid and Lashes… all went home with MacKenzie. 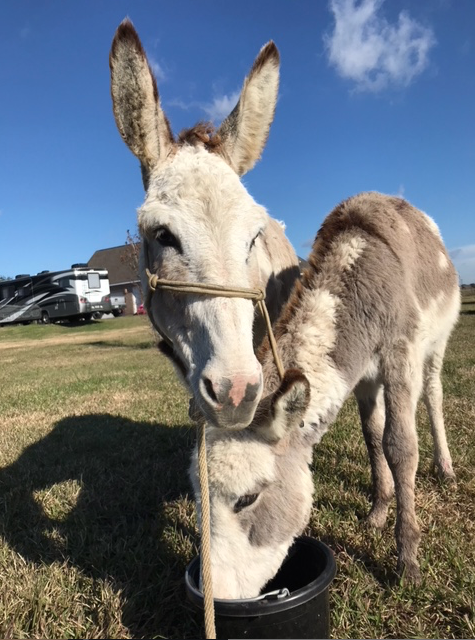 Gidget and Cupid. All cleaned up and healthy! INTAKE PICS ON GIDGET, CUPID, LASHES AND MAGGIE. Maggie’s intake photo. I love the coloring on her ear! Lashes’ intake photo. She cleaned up well! Gidget’s intake photo. She sure is much healthier and happier now! Cupid’s intake photo. Such a delicate little girl. THANK YOU ALL FOR THE HOPES, DREAMS, PRAYERS AND DONATIONS! Today, I thought we might try to boost the Bucket Fund with items that Riding Warehouse has donated! 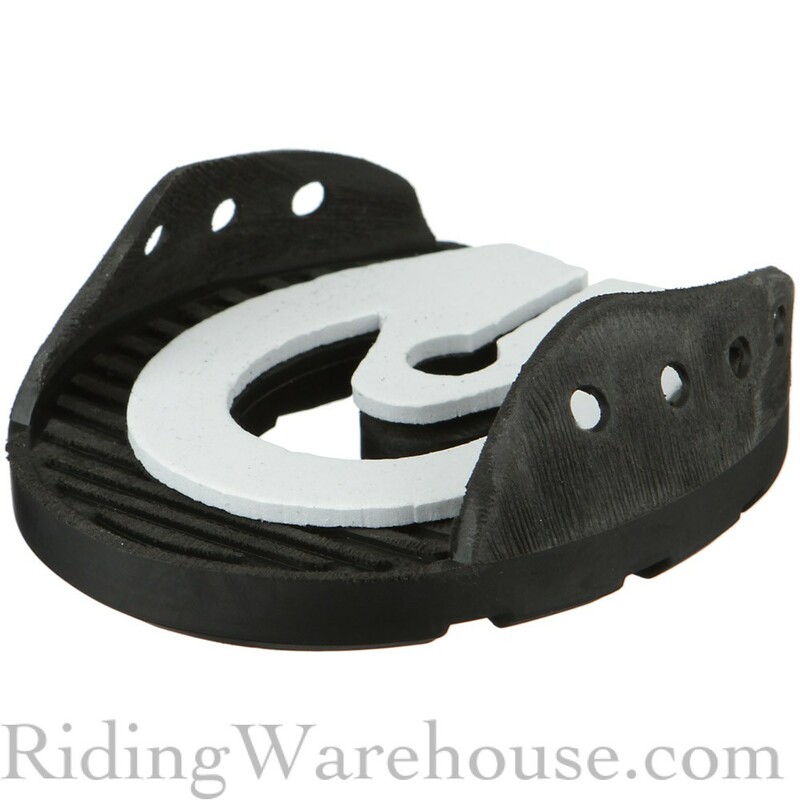 Most of Riding Warehouse’s items are brand new, but a few might have a scuff or two. 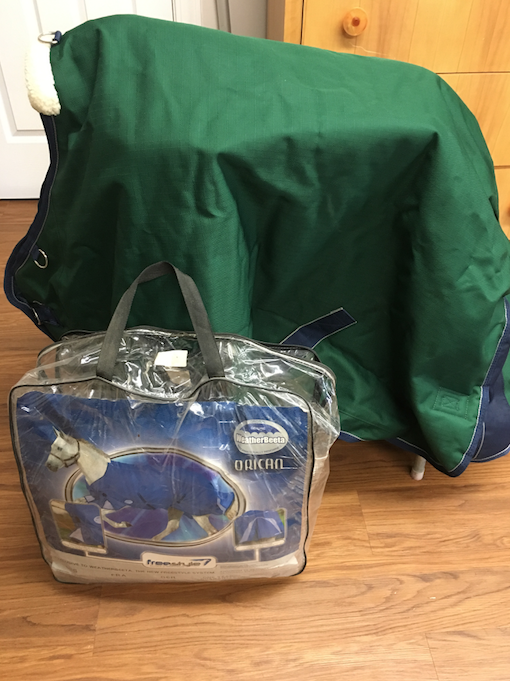 Most in excellent condition with tags and original packaging! 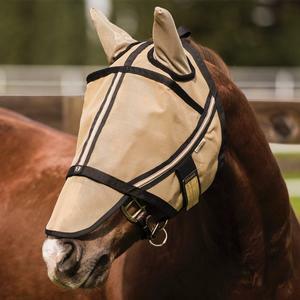 Weatherbeeta Orican with Freestyle Tail Flap, Freestyle Foreleg Flap, 1200 Denier, waterproof, breathable, taped seams, teflon coated and Ripstop. Green. Size 51″. I paid $189. 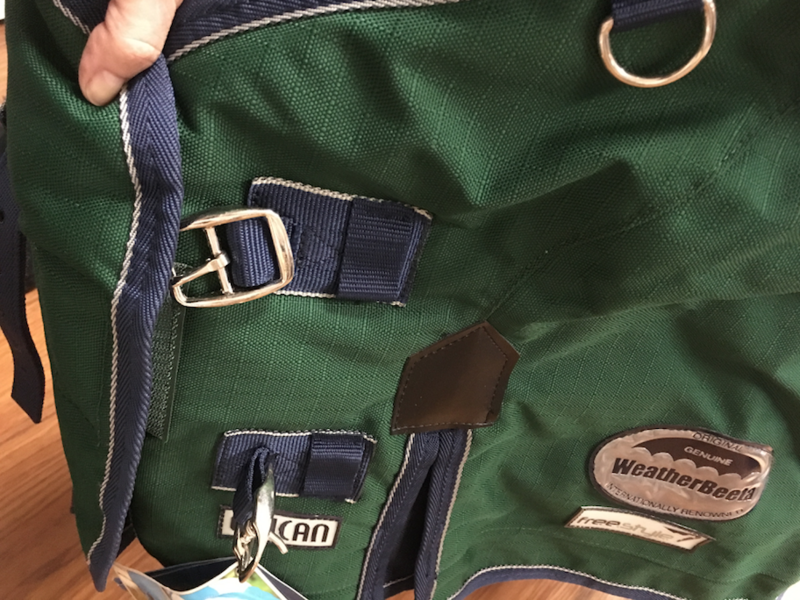 It is brand new with tags (the original packaging is a bit beatup…). $99 includes shipping. 40% – 70% off all items! Shipping included! 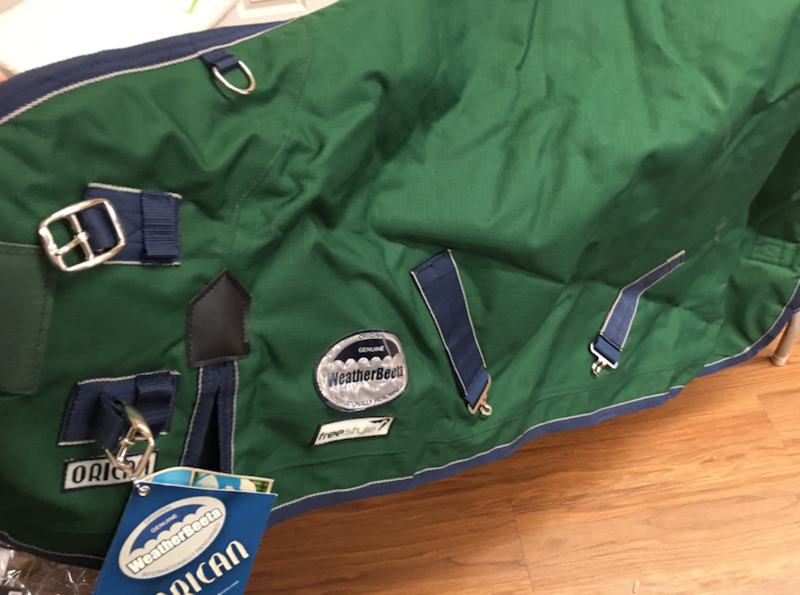 Click here to purchase Dodger’s brand new 51″ blanket for $99. To purchase for $12, click here. To purchase for $32.99, click here! Click here to purchase for $79. 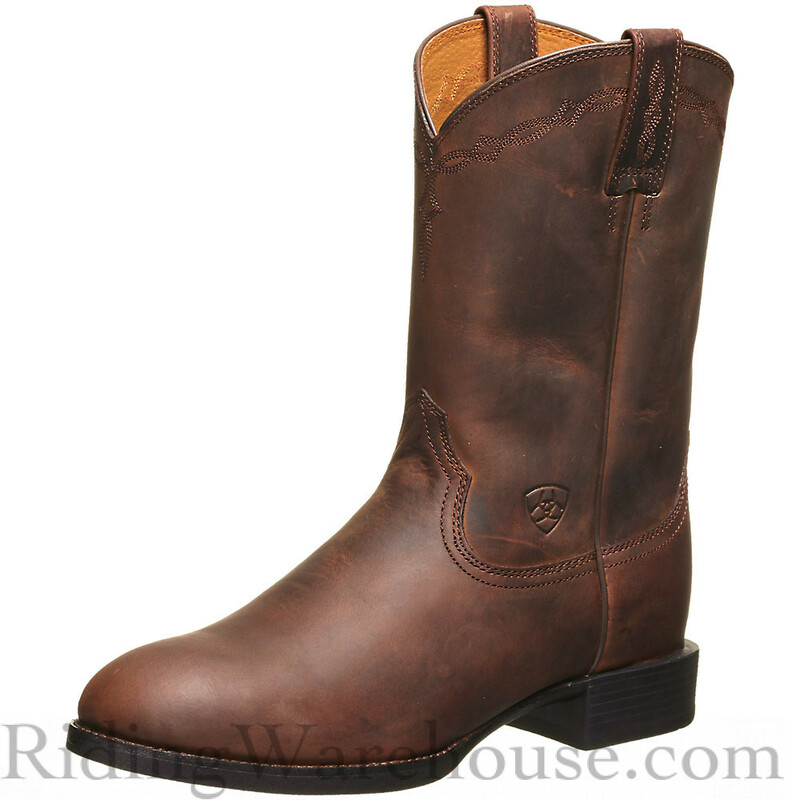 Classic style meets functionality in the Ariat Men’s Heritage Roper Brown Cowboy Boots, meeting the needs of today’s working cowboy. Premium full-grain leather construction combined with Ariat’s exclusive ATS™ footbed technology guarantees the durability and comfort expected from the Ariat brand. Subtle details at the top of the boot add style and personality to the traditional, simple design of these boots, creating a timeless feel while the reliable Duratread™ rubber outsole features added traction for a modern finish. 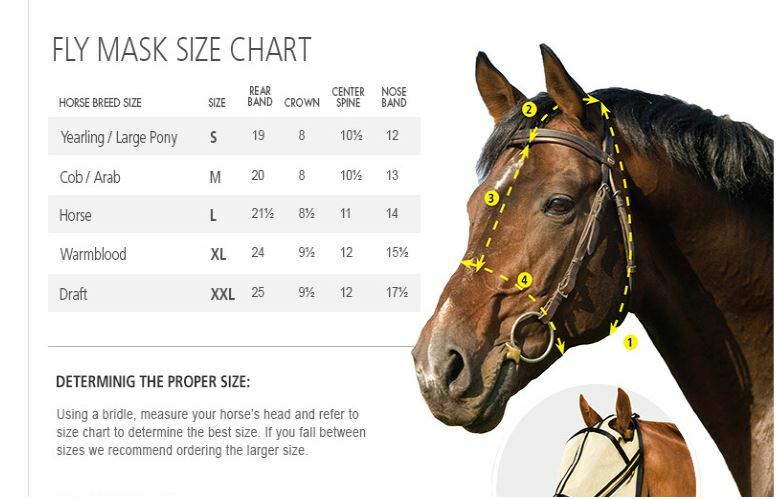 Ariat’s mid-level ATS™ Stabilizing Support Technology offers optimal stability and all-day comfort for the ultimate in dependable performance. To purchase SIZE MEDIUM for $22.99, click here! 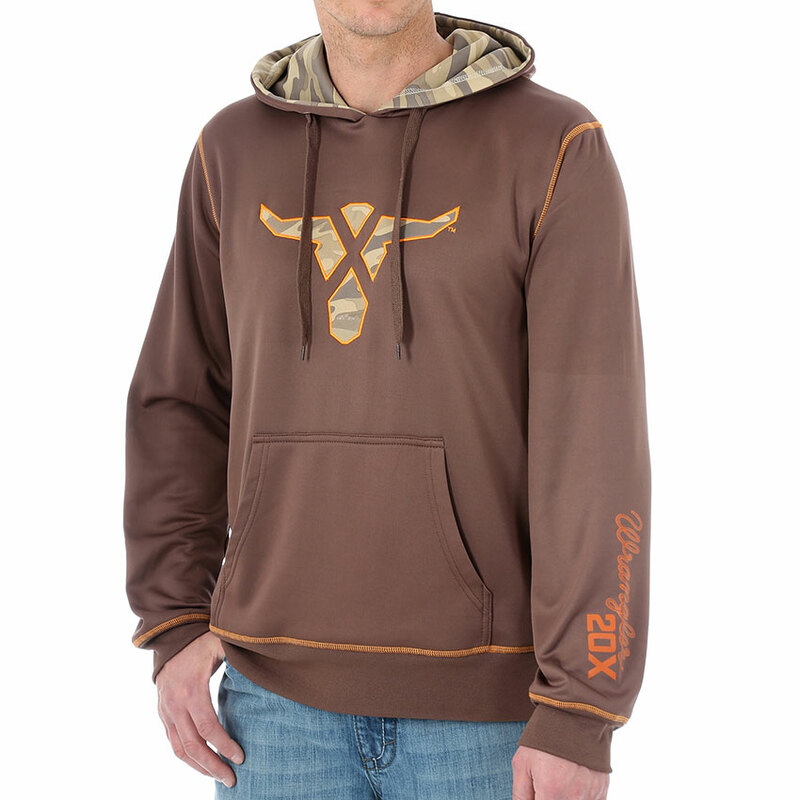 To purchase SIZE SMALL for $21.99, click here! 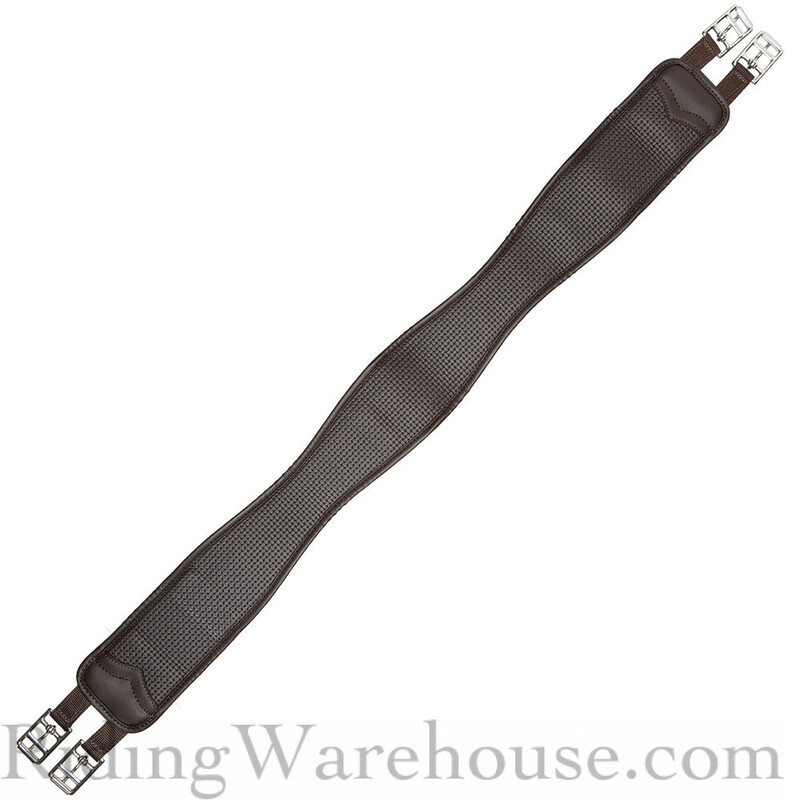 The Wintec Chafeless Elastic English Girth offers comfort for horses and convenience for riders! 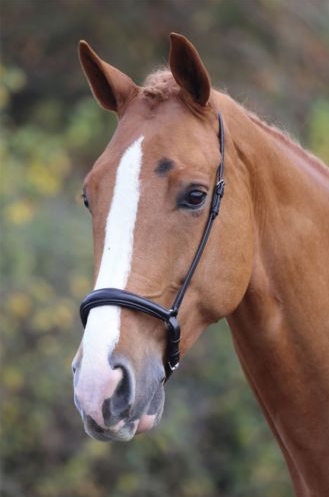 The contoured girth fits flawlessly on your horse and is constructed with elastic to move along with their motion and prevent chafing for maximum equine comfort. 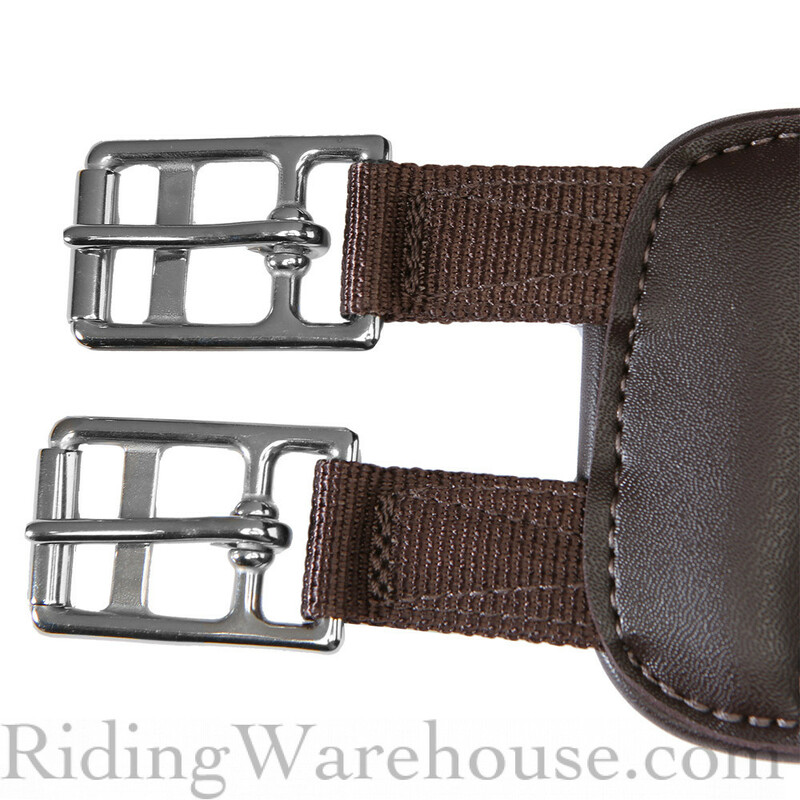 The textured, synthetic material is easy to wipe down after rides to keep clean, and stainless steel roller buckles make tightening your girth a cinch! To purchase for $119, click here! Purchase easycare easyshoe performance glue pair 3.0 for $25, click here! 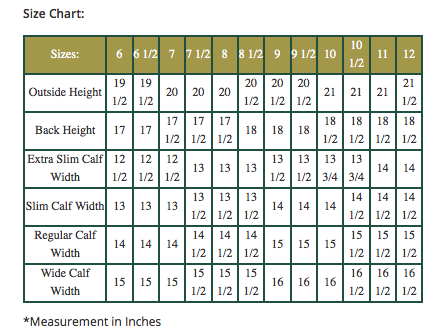 Purchase Easy Care Easy boot flip flop hoof boot 1.5 for $22, click here! 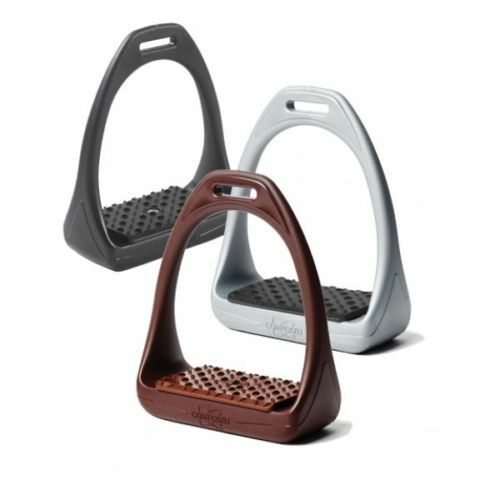 The newest addition to the EasyCare system, the EasyCare Easyboot Flip Flop Glue On Hoof Boot is an innovative new design for the EasyBoot lovers! 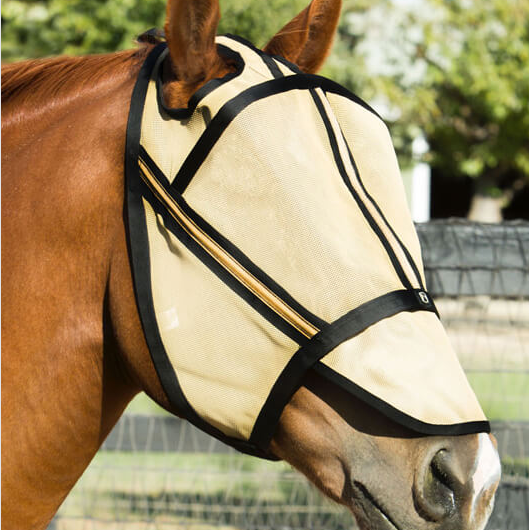 The flip flop design adheres only to the front of the hoof, which allows optimum expansion of the hoof wall and frog during movement. 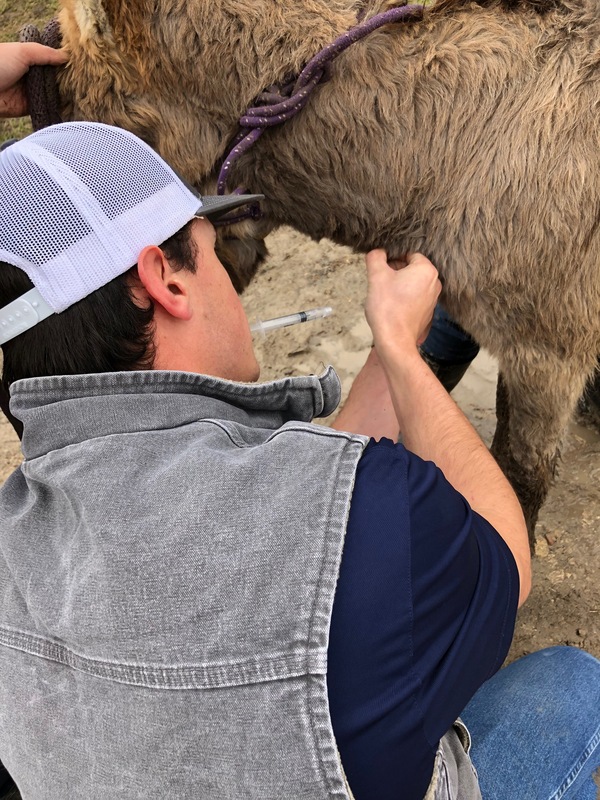 Not only does this allow for natural movement and growth in the hoof, but it also rids of any glue cracking due to hoof fluctuation! 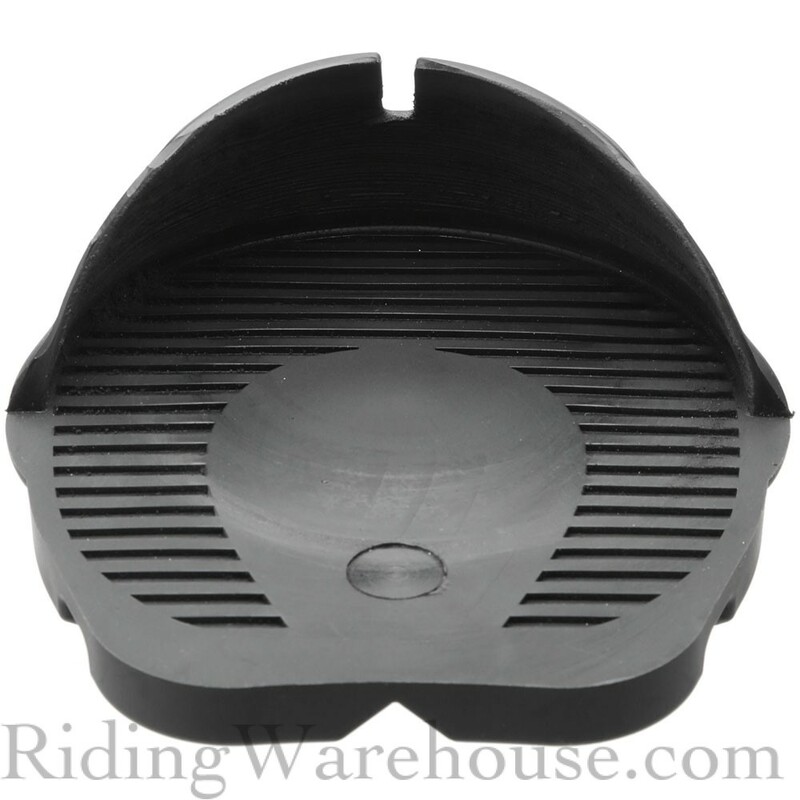 The front of the flip flop has heat-fit ability, and the length can easily be cut to your horse’s hoof, so this boot can be custom fit to any horse. 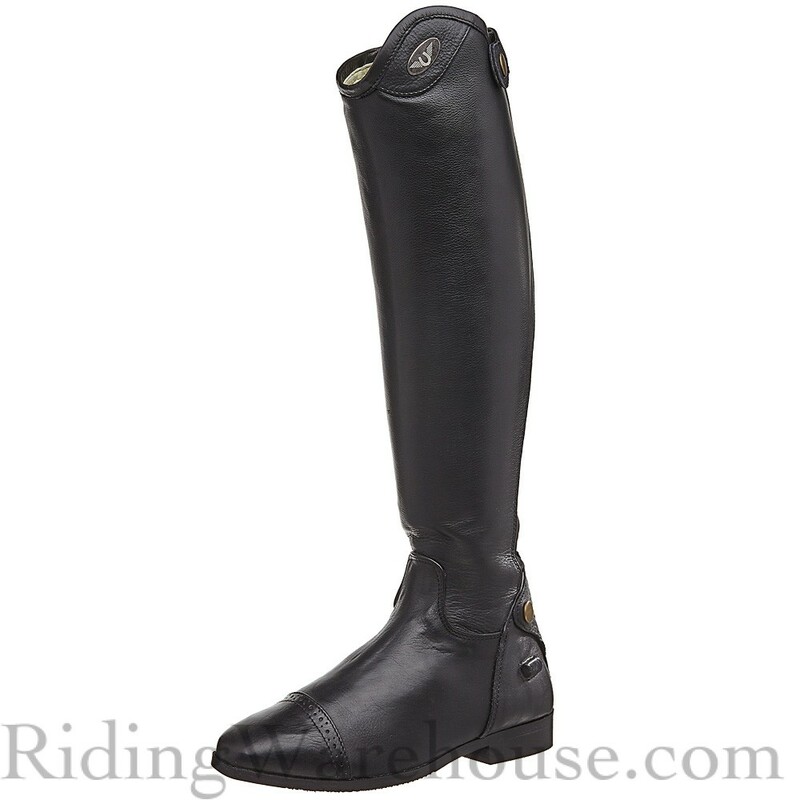 The open design allows for high ventilation and less moisture retention around the hoof. The flip flop has all the benefits of a boot, but can be left on as long as a normal shoe! 11) CRUEL GIRL KIDS HEATHERED TECH HOODIE GREY SMALL: SOLD! This Cruel Girl® Girls’ heathered tech fleece hoodie features contrast stitching and screen print on the front of the shirt. Imported. 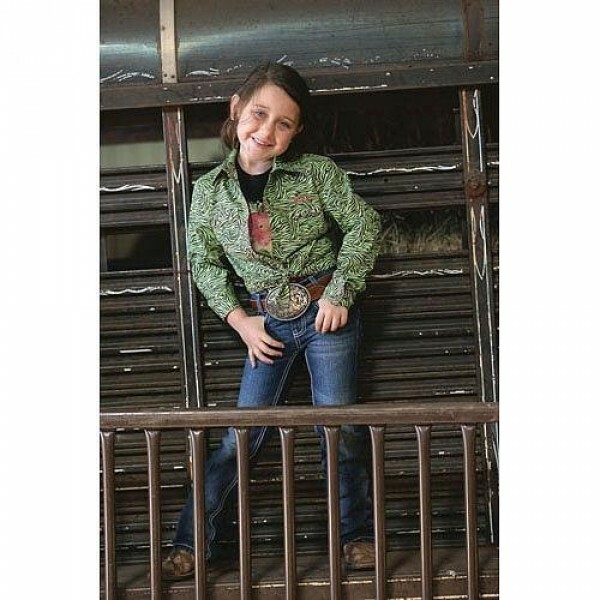 Screen print real cowboy boots on the brightly colored kids’ tshirt with Cruel Girl signature! 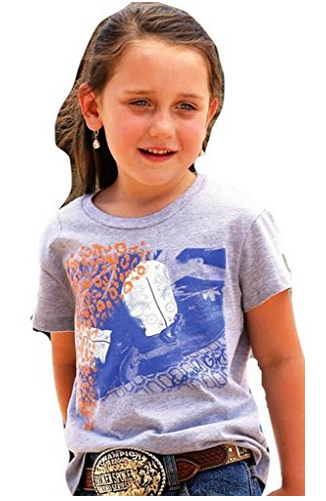 To PURCHASE KID’S SMALL TSHIRT FOR $12, CLICK HERE. To PURCHASE KID’S MEDIUM TSHIRT FOR $12, CLICK HERE. 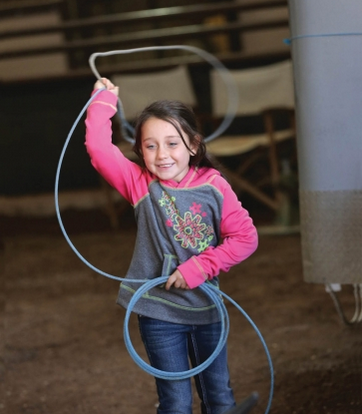 Perfect for the rodeo or anytime she wants to be a little wild. 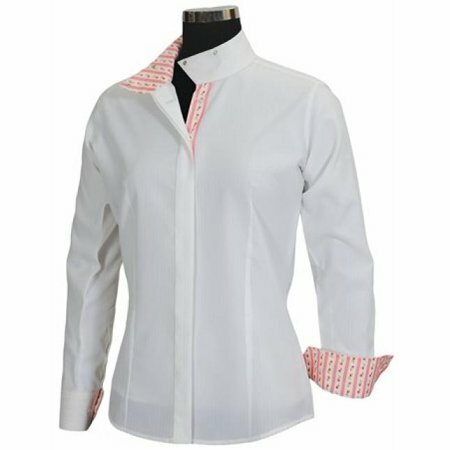 Girl’s long sleeve Western shirt from Cruel Girl. To purchase Girl’s size M, click here. 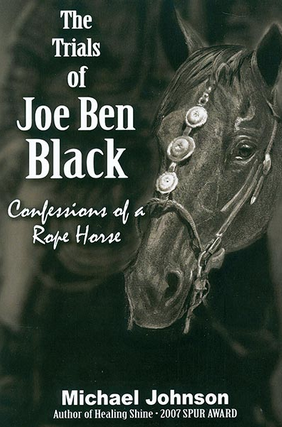 16 -*We have 2 copies of MICHAEL JOHNSON’s The Trials of Joe Ben Black, Confessions of a Rope Horse book available! $25! I LOVE THIS BOOK! 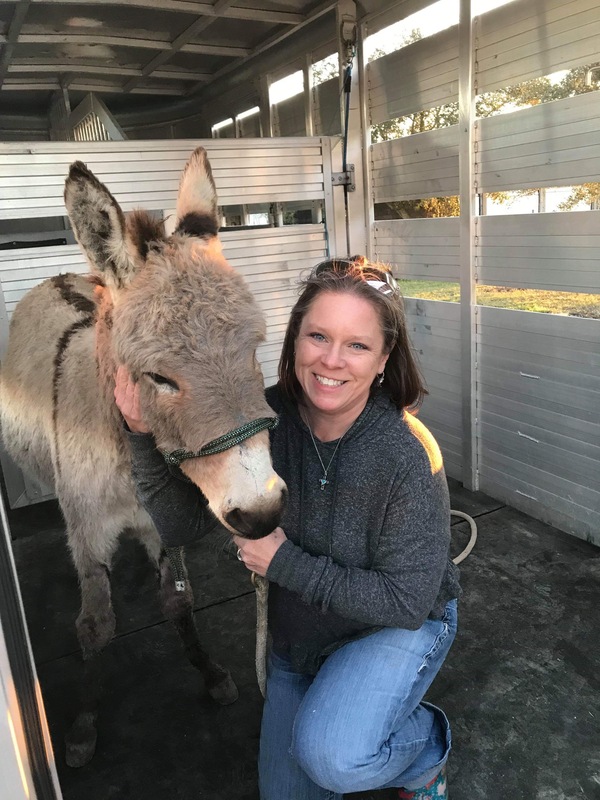 So much learning about teaching and training… all with humor and a smile. 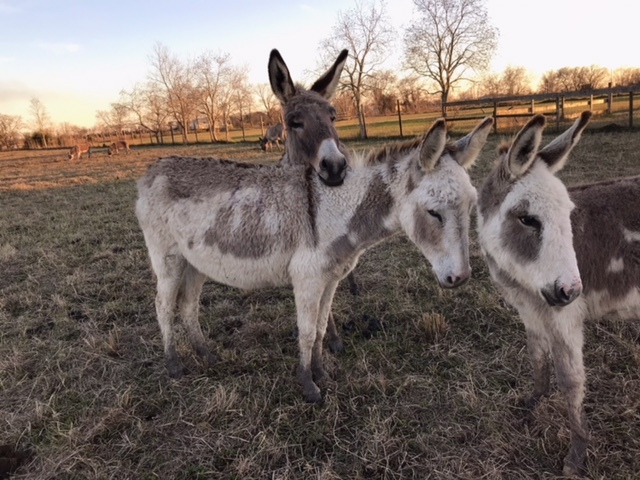 All proceeds go to the Bucket Fund for these donkeys! Click here to get your copy! Free shipping! 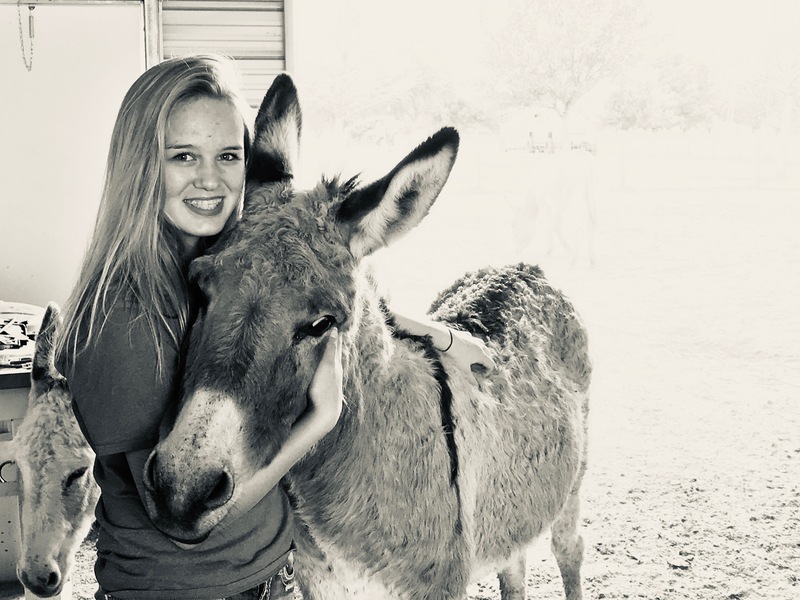 JANUARY BUCKET FUND – Let’s help 21 Donkeys! All donations are 100% tax deductible. THANK YOU in advance! !